So you've seen a position you're interested in, but you're asking yourself: "Why should I work for Snapdragons?" It's a fair question and one we hope we can answer for you right now. We've got a whole host of benefits that come with a position at Snapdragons Nursery and we're sure you'll find something you'll like in there. In fact, if there happened to be something that we've missed off of our list, that you'd like to see, then let us know using the form at the bottom and we'll do our best to make it happen! Everyone needs one, we know this. But they can become a burden, which is why we offer them for free for our teams. You'll be reimbursed once you've completed your first 18 months, meaning that's extra money in your pocket and not in someone else's. It can be hard starting your career in childcare, which is why we offer some brilliant apprenticeship schemes to get you on your feet. You'll get to work in an environment designed for children, learning through practice, as well as learning with some of the best tutors in the business, to gain your childcare qualification. Sometimes it's useful to learn a few new tricks before you start work, so all new employees get access to our online training portal, so you can brush up on those skills. The training we offer in-house at Snapdragons is second-to-none. Designed to help our teams fully understand their roles and how they can improve their performance in the nursery, the courses are both engaging and informative. We want you all to be comfortable in your role at nursery. And sometimes that means being able to deal with any situation calmly and effectively. First aid training is one step towards achieving this state of calm. And it's why your training will be free as an employee of Snapdragons. There's an old saying that goes something like "If it's not a Snapdragons party, it's not a real party." Funnily enough, that saying is still true to this day, as we throw the best parties, full of scrumptious food, dazzling entertainment and an unbelievable raffle, stuffed with desirable prizes. But the best part? It's all free when you work for Snapdragons. 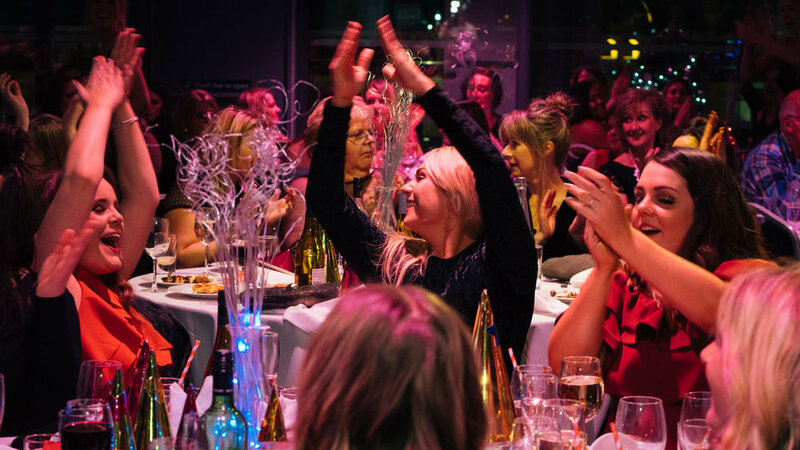 Prior to our Christmas party each year, you'll have the chance to nominate your fellow colleagues in a variety of categories, giving them to chance to win at the awards when they are handed out at the party. This is the perfect chance for peer-to-peer recognition and letting somebody know just how much you really care. A perfect chance to find out a bit more about the company you're about to work for, as well as get all your questions answered. You need one, we've got one. And your pinny is on the house. You all want to feel like you can earn yourself some extra coin, so that's why we'll review every individual's pay each year, taking into account your performance and feedback from your managers. You may have started as an apprentice, but there's no reason why you can't take the next step. And the next one. And the one after that. In fact, there's always new and exciting opportunities for you to further your career and push yourself to a new level. Maybe you like to learn new things? Well, there are some great opportunities to do so at Snapdragons, as you can sign up for training courses designed to advance your knowledge. Foundation Degrees, EYT courses, Makaton training, to name a few - take your pick! Snapdragons publish a quarterly magazine, you've probably seen it. In fact, if you haven't, go take a look quickly. But the best bit is that you have the opportunity to contribute to this magazine! If you've got some expertise in a certain area and can lend your knowledge to a future issue, then you can finally see your name in print - just as you've always wanted. We all like a bit of free time on our birthday and that's exactly what you get at Snapdragons - free time. Each year, you'll get a bonus day of holiday for your birthday, meaning you can celebrate in the way that you want to. It's always a bit frustrating when you get called in to work between Christmas and New Year, isn't it. You just want a bit of time with your family after a long year. Well guess what? That will never happen at Snapdragons, because every employee will take advantage of a week-long break during the festive period. Our Christmas gift to you. Having children doesn't need to stop you from returning to work. In fact, we try and make this as easy as possible for you, by offering great discounts to employees on their childcare when they return from maternity leave. Life isn't aways easy and sometimes you need to fit a hectic schedule around your work-life. But that's fine. We understand. And we'll work with you to try and establish something that fits with your lifestyle, as best as we can. Employees at Snapdragons are encouraged to dine with the children, to engage with them socially and participate in dinner time. Which means you get a lovely portion of our award winning meals served to you too! You may be able to earn yourself a place on our pension scheme if you meet certain criteria, where you can contribute to a pension scheme and Snapdragons will also contribute too.